An article and editorial in New Scientist alerted me to the following research paper (free to view). From the labs of Øystein Fluge and Olave Mella in Bergen, Norway. It’s a good example of serendipity in research. They were treating a patient who had lymphoma and happened to also have Chronic Fatigue Syndrome (CFS) with a drug that lowers the numbers of a type of white blood cell that produces antibodies. This patient’s CFS improved markedly as a result. Intrigued they did a study in a small group of other CFS patients (without lymphoma). This paper describes the result of a phase II clinical trial. Phase I trials in humans test for toxicity and define the effective dose. Phase II test initial effectiveness. CFS, also known as Myalgic Encephalomyolitis (ME) or more pejoratively as ‘yuppie flu’ is characterised by extreme loss of energy, vague flu like symptoms, muscle pains and a general malaise. Sufferers were often referred to psychiatrists with fitful results or derided as malingerers. My first encounter was because the woman now my wife had it in Halls at university. A neighbour of mine said she would appreciate some visits and company so I began to stop by and we became more and more friendly and 29 years later here we are. Seeing her collapse in the dinner queue and elsewhere convinced me it was more than a mirage. She had been a keen sportswoman, playing hockey and cricket. She got better, it seems pregnancy is an excellent gradual fitness program. But back to the research. The hypothesis is that CFS/ME is as was suggested back in the ’80s a post viral syndrome, but not one caused by the virus hanging around but by rogue antibody producing cells attacking the body: an auto-immune syndrome. The treatment is with rituximab which is an antibody which removes CD20 antibody producing cells. The advantage of an antibody treatment is that it allows you to remove specific subsets of white blood cells. Removing all of them would open patients to opportunistic infections. So, 29 patients were treated with infusions of the antibody two weeks apart then maintenance doses over 3, 6, 10 and 15 months. Patients were followed up over 36 months (3 years), no short term study this. They compared them to a saline infused control group from the phase I trial. What did they find? 18/29 treated patients had both self reported decreases in fatigue score and showed clinically significant improvements. After the full 3 years 11 of the 18 were still in full remission. There were minor side effects but no toxicity of the treatment. So it seems partially effective. It remains to be seen if the 7/18 who showed improvement but did not maintain it just need longer treatments or a repeat treatment cycle. Similarly with the 11/29 who showed no improvement. Or maybe their CD20 cells have a slight variant of the target protein and the antibody is thus less effective. This is not a magic bullet, the quickest responders to treatment took 23 weeks to detect and improvement. Most took 32 weeks. This is also not a final word, more of a better proof of efficacy from their Phase I trial and working out doses. They seem to have done the best scientific job they could have within the constraints they have. And finally, it doesn’t work for everyone. But the headline result is it a strong indication that CFS/ME is a real condition and that it is an auto-immune post viral syndrome. With any luck they will get funding for a larger Phase III trial and it will be approved for general release. People with CFS/ME are generally economically inactive and this costs society a lot, they also impact on the health service. So any treatment that gets them active again is likely to be cost effective. Especially as CFS/ME generally hits young adults. The good news is that since rituximab is already licensed for lymphoma rather than being a new compound rolling this out into clinics will be relatively quick. As for my wife, the developing embryo and foetus, acting a bit like a parasite, dials down aspects of the mother’s immune system to avoid rejection. Important as the embryo/foetus is only half related to the mother. It thus seems likely that as well as the gradual fitness program that is pregnancy that this dialing down of the immune system cured her ME, as we knew it then. Light at the end of the tunnel, one cheer for serendipity, one for the researchers and one for the patient guinea pigs. Recent events have been rather revealing about true international allegiances. More in degree than surprise but it has still been instructive. Britain is a poodle to the US, that is a given but to the rank of lickspittle can now be revealed France, Spain, Portugal and Italy. Their reaction to the suggestion, source still unknown, that Edward Snowden was on Bolivian President Evo Morales’s plane was not questioning or thinking about the international niceties. Instead they acted to deny their airspace and demanded the right to search the presidental plane. To the rank of independent entity must go Austria, though they didn’t have much choice. The real surprise was France, so long not in Nato, with it’s properly independent nuclear deterrent (unlike Britain’s). They have since apologised and been shamefaced about it, suggesting they acted in haste and our now repenting at leisure. We also now know that the outrage about US spying from France and Germany was not sincere and purely for public consumption to avoid angry citizens turning on their own governments. So now we turn to Latin America and we see the countries that joined with Bolivia in support and condemnation of Europe and America: Venezuela, Ecuador, Argentina and Uruguay. But who stayed away? Colombia, Chile and Peru. US Lickspittle status for those states then. Cuba has now offered it’s support for Venezuela, Bolivia and Nicaragua at least suggesting Snowden transiting in Havana might not be a problem. So it’s cack-handed and kneejerk interference in Evo Morales’s plane based on some obviously wrong intelligence has resulted in a weakening of US influence in Latin America and could yet see Edward Snowden in safety. I call that an own goal. The Supreme Court in the US has just struck down both California’s Propsition 8 banning gay marriage and the Federal DOMA Act signed into law, shamefully, by President Bill Clinton that denied Gay people married in states like Massachusetts the same inheritance, tax and next of kin rights as married Straight people. A great day for sense and tolerance and a necessary blow against bigotry and ignorance. Been following the fun on the Guardian who are following the world’s media trying to track Edward Snowden down. An Aeroflot plane full of journalists are on a, dry, flight to Havana which Snowden is not on, unless he’s in drag as one of the stewardesses. This is great fun. Go Ed, give them all the runaround and thanks a heap for the revelations. Pity they can’t winch Julian Assange out of the Ecuadorian Embassy in passing. Just finished reading this after my wife borrowed it from the library for me. 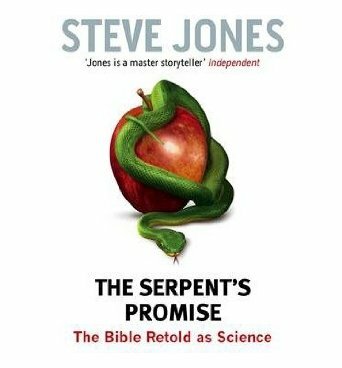 I would agree with the reviews that say it’s a book for the converted to scepticism and is unlikely to appeal to believers unless they are already doubting their faith. It’s also rather scattergun and relates mainly to the first few books of the Old Testament. No attempted debunking of the feeding of the five thousand or the supposed water into wine incident. But having said that it’s still a rollicking good read packed with interesting science. The bible is more for jumping off points than anything else. Jones will also as usual make you laugh several times. Not one of his best but still well worth a look and a hat-tip from me for the reference to Göbekli Tepe site in SE Turkey, a further account here. A discovery that had past me by. A temple complex from 12,000 years ago, before agriculture in the fertile crescent. Demonstrating that social organisation and recruitment in hunter gatherers in the period before the agricultural revolution was more than we might have though. To put it into context there is twice as much time between the cities in Ancient Sumer and the present day as between Sumer and Göbekli Tepe. The Royal College of Obstetricians and Gynaecologists this last week released a report offering advice to pregnant women which advised mothers to be to avoid things like tinned food or food in plastic packaging because of unquantified and unidentified fears. This has got me thinking, not for the first time, about risk and how our society is ridiculously risk averse and has forgotten that we should assess risks in a risk-benefit analysis, something we are equipped to do naturally. Every time you approach a corner in the road in your car you are doing this in assessing how fast you should take it. Back in New Zealand corners on open roads in the countryside have speed advisory boards on them giving a suggested safe speed to help. It means when you see 20 (km/hr) you know the corner is a hairpin, and there are some. What the RCOG report writers have forgotten is to factor in the benefits of food packaging and what life was like before we started to use it, especially for pregnant women. One risk in particular is Listeria which can cause miscarriages. Campylobacter and a new one E. coli 0157 which are both nasty. All of these, and more, can be caught from food. Packaging has not removed these risks entirely, which is why you should wash store bought salad leaves, but they have lowered them enormously. To the benefit of many, but especially the very young, the old, pregnant women and the immune compromised. To ignore the benefits of the packaging, less handling from humans some of whom will carry viruses and bacteria. Remember the norovirus that causes winter vomiting needs just 9 virus particles to start an infection. So if anything pregnant women are better off buying fresh veg, fruit and meat in plastic packaging than loose material that could have been handled by anyone. We tend to live in a world where no risk can be accommodated just like nothing bad can happen without someone being held responsible. And that is before we get to popular media reports of statistical scientific risks. They shout X doubles the risk of Y but often fail to point out that your risk of Y is a fraction of a percent. Life is never risk free, you might choke on a pretzel, or just about anything but you have to eat. Too much water can kill as happens to some back markers in warm weather marathons who overestimate how much they are sweating and drink too much, yet we have to drink to stay alive. We must breathe but the air is full of microparticles and they don’t have to be viruses. Polluted air such as in London gives me asthma, yet when we lived there I had to breathe it. There were benefits from living where we lived, the jobs my wife and I did and the schools the kids went to. Having said that we were also happy to leave. So next time some report, even from a Royal College tells you about a risk, think about benefits too, and ask what the absolute risk is and if it is some fraction per 1,000 people or whatever. Go about your life worry free. I’ve been asked about the origin of my tentacled orange avatar. So a quick explanation. It’s a screen grabbed and cropped still from The Deep episode of the BBC’s excellent Blue Planet series. I was given the DVD set for my birthday once. I have long had a fascination with cephalopods (octopus, squid and nautilus) ever since as a kid in Dunedin I saw a common octopus up close in the university’s Marin Aquarium. I found young ones in the local rock pools and in summer large dead ones washed up on the shores of Anderson’s Bay Inlet and stank in the sun. I now know they are probably females who have expired after protecting their eggs until they hatched. The females don’t eat and die of starvation. In The Deep episode we meet Grimpoteuthis the Dumbo octopus. So named because it appears to have ears like Dumbo, Disney’s elephant which it uses to ‘fly’ through the water. What fascinated me was how it moved, like a fish’s fin or a bird’s wing: flat on the downstroke and rotated edge on on the upstroke. It will have evolved from the long fin which fringes the mantle of squid. Ripples in it help cuttlefish and the like to manoeuvre slowly and carefully. Grimpoteuthis has taken this basic design, reduced it and obviously added greater muscular and nervous control. It’s roughly equivalent to the evolution of fish fins from those of sharks and rays. A shark cannot swim with it’s pectoral fins (the ones at the front that stick out the side like stubby wings), it can only incline them like wing flaps on a plane. Rays can undulate their long fringing fins like a cuttlefish. Bony fish (teleosts) have pectoral fins that can be rotated and moved and used for propulsion. Some fish can swim backwards using them, useful for backing out of crevices that might contain food. Those fish fins became our legs and hands. Dumbo octopus have made a similar evolutionary change. Taking a simple structure and elaborating it for further function. But a picture is worth a thousand words so here are some videos of Grimpoteuthis in action. You won’t find Grimpoteuthis in a rock pool though, they are creatures of the very deep, the deepest Octopus known, some living as far down as 7,000metres. About as far down as Everest is high. They hover over the seabed or in the water column eating polychaete worms and small arthropods. Can B Vitamins Help in Alzheimer’s? Anna Karenina by Leo Tolstoy downloaded from Project Gutenberg to my Kobo. Religion in Human Evolution: From the paleolithic to the axial age by Robert N. Bellah.